The first important vehicle for the anti-Dutch nationalist movement was the Serikat Islam (Islamic Union), established in 1912. Growing out of a protective association for batik merchants, the Sarekat Islam by 1918 claimed a membership of more than 2 million people throughout the archipelago. The Dutch were initially conciliatory toward Sarekat Islam, and in 1916 they established the Volksraad (People’s Council). In the Volksraad, selected representatives of major population groups could deliberate and offer advice to the government. After World War I (1914-1918), however, and especially after an abortive Communist-led insurrection in 1926 and 1927, the Dutch government adopted a more repressive policy. In 1942 the Japanese invaded and occupied Indonesia. 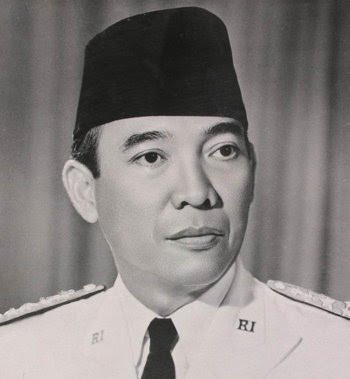 Anxious to mobilize Indonesian support behind their regime, the Japanese gave Sukarno and his associates symbolic political freedom. The Japanese regime was repressive, however, because they had strategic concerns about Indonesian resources, particularly petroleum, and because they feared Allied counterattacks. They forced tens of thousands of people into conscripted labor and many did not survive. In September 1943 the Japanese established militias in Bali, Java, and Sumatra, giving thousands of young men military training and forming the nucleus of the postwar independence army. In October 1944, in order to muster support against anticipated Allied attacks, the Japanese promised eventual Indonesian independence and subsequently offered limited self-government. Throughout most of the occupation, however, Japan’s harsh behavior and the growing economic hardships alienated Indonesians.